As El Paso draws record numbers of Cubans seeking refuge, the city's Democratic congressman said he favors repealing a decades-old provision that gives those migrants a special status here. EL PASO - As Cuban migrants continue to pass through the Texas border in record numbers, El Paso’s Democratic congressman is joining a growing number of lawmakers who favor repealing the decades-old policy that gives those immigrants a special status in the United States. U.S. Rep. Beto O’Rourke, D-El Paso, told the Tribune it was time to do away with the decades-old provision that allows Cubans to apply for legal residency status after living in the U.S. for a year. “I favor repealing the Cuban Adjustment Act. Whether you are from Cuba, Europe, Mexico, Central America or anywhere else in the world you should be treated with equal dignity and respect,” he said in a statement. Through the first six months of the government’s current fiscal year, about 1,580 Cubans have been processed at the El Paso field office of Customs and Border Protection, according to figures from the agency. That figure eclipses the combined total for 2014 and 2015, when about 440 and 700 were processed, respectively. The surge follows the Obama administration's 2014 announcement that it would re-establish ties with the island nation. After that, many Cubans feared their special designation in U.S. immigration law would be eliminated. The current arrangement is part of an agreement reached during the Clinton Administration, known as the “wet foot/dry foot” policy that amended the 1966 Cuban Adjustment Act. O’Rouke joins U.S. Reps. Henry Cuellar, D-Laredo and Blake Farenthold, R-Corpus Christi, and U.S. Sen. John Cornyn, R-Texas, in calling for the repeal. Cuellar previously said the measure was a “Cold War-relic” and that Cubans should be included in a comprehensive immigration reform package that addresses all immigration issues. Cornyn said the Cuban policy was unfair to migrants from Central America and elsewhere. But some who favor placing all immigrant refugees on an equal playing field say eliminating the Cuban policy isn’t the solution. 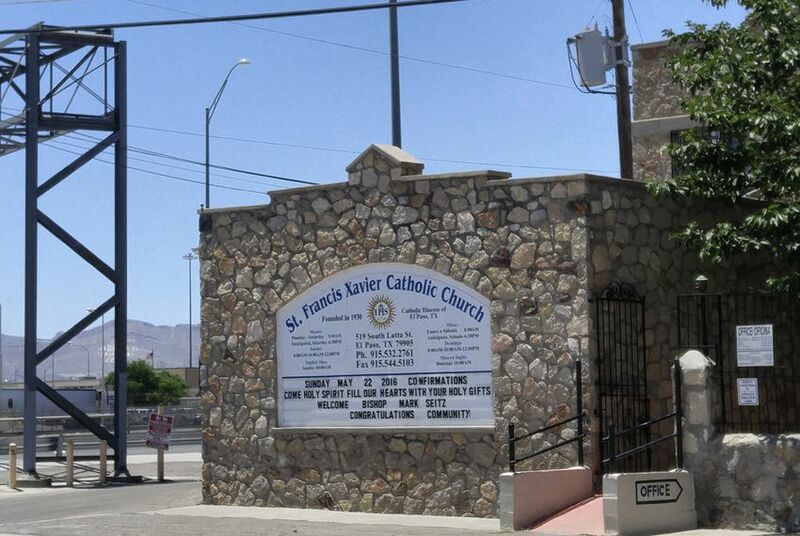 Bishop Mark J. Seitz of the El Paso Catholic Diocese said the diocese is supervising some of the city’s humanitarian efforts by offering up local churches as temporary shelters for the Cubans who need help. The bishop said after speaking to some of the migrants, he is even more convinced the Cubans deserve the special status. Seitz said he recognizes the current “political reality” and understands some politicians advocate for a hardline stance on immigration instead of a softer approach. But he said singling out one group isn’t the solution. “The Cuban arrangement, if anything, should be a model for others. Let’s not take that away from them,” he said. Diocese spokesperson Elizabeth O’Hara said since the beginning of the month, 20 planes with 150 Cubans each have landed at the international airport in Ciudad Juárez, El Paso’s sister city just across the Mexican border. The flights originate in Panama after that country reached an agreement with Mexico to have the migrants transferred to the border. The agreement will allow Panama to fly about 4,000 Cubans to the border, CNN reported. The Central American country was struggling to take in all the refugees and has since opted out of receiving them. In El Paso, CBP said it is prepared for an expected increase and is taking steps to ensure the Cubans are processed thoroughly and in accordance with federal laws. The arrivals will add to the record numbers other Texas ports have seen in the past two years. In 2015, about 28,400 Cubans entered Texas through the Laredo field office of Customs and Border Protection, which extends from Del Rio to Brownsville. That figure represents an 82 percent jump from 2014, when 15,600 Cubans entered through the Laredo field office.